The author/publisher are also doing a giveaway. You can spread the joy in your neighborhood with inspirational chalk messages. Original images posted between April 13th-21st with the #CityLove hashtag will be entered to win a $50 American Express Gift Card! Check out all the #CityLove pictures being posted on Epic Reads. 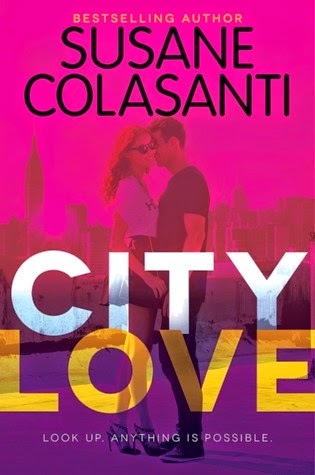 Enter to win 1 ARC of City Love by Susane Colasanti! I love this! The cover looks so pretty and the synopsis sounds exactly like something I'd want to read. I was so excited to get two copies, it sounds lovely! Thanks for stopping by Linda! I adore the cover, very pretty! Thanks for stopping by Jen! Sounds interesting coming from 3 different situations. Thanks for the opportunity.